Aviation accidents are often fatal and are all but guaranteed to result in serious injuries and substantial property damage. To find out what your claim is worth and what your next step should be, consult with a Spokane plane accident lawyer. Over 1,000 small airplanes crash on an annual basis. If you were harmed or a loved one was killed in one of these accidents, you may be entitled to compensation for the damages and trauma you have suffered. A Spokane plane accident lawyer from Craig Swapp & Associates can represent you during this process and ensure that you get the most compensation possible. Regardless of why your aviation accident took place, there is a good chance that someone was negligent and that you have reason to file a personal injury lawsuit. The most common type of plane crash involves small planes. In 2014, there were 1,223 general aviation accidents according to the National Transportation Safety Board. During that same time period, there were only twenty-nine commercial air carrier collisions. Most of these accidents happened inland with only a few out on the coast or open seas, meaning that as someone flying in puddle jumpers or small planes near Spokane, you are at the greatest risk for being in a crash. Your Spokane plane accident lawyer will conduct an investigation to determine who was at fault for your aviation accident so that we know who to file a lawsuit against. In many cases, there is not one individual responsible, but several. For example, if a plane took off during inclement weather, both the airport and the pilot could bear partial responsibility for that poor judgment call. Similarly, if a plane was not properly maintained by the maintenance crew, they could be responsible, but the manufacturer could also bear some of the responsibility if a part wore out too quickly. We need to identify all negligent parties and name them in your lawsuit to maximize your total compensation. Once we have identified who’s at fault and placed a value on your claim, we can file a lawsuit on your behalf. This starts the process, but it doesn’t necessarily mean that you’ll end up in court. If the other party is interested in negotiating, they may make a settlement offer that gives you the compensation you deserve. We will evaluate the offer and inform you of whether it will adequately cover all of your accident-related expenses and losses. Your Spokane plane accident lawyer will prepare to go to court regardless. During the trial, we will present evidence as to what happened, who was to blame, and how your injuries have impacted your life. A jury will then determine how much compensation you receive. 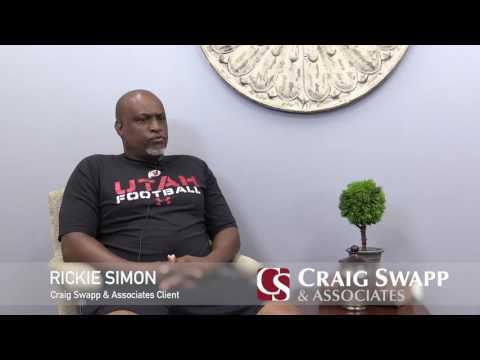 To start the process of filing a personal injury lawsuit or to have your questions answered, call 1-800-404-9000 and speak with an attorney from Craig Swapp & Associates. Alternatively, you can also schedule your free, no-obligation consultation by contacting us through the form below. Our years of experience and dedication to our clients has earned us a strong reputation, and you can count on us to aggressively defend your rights and pursue the compensation that you need to pay for your recovery.